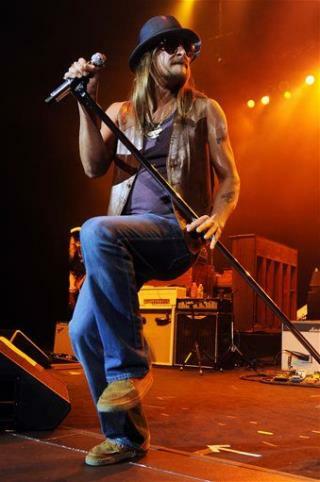 Broke Music Lovers' Savior: Kid Rock? (Newser) – Kid Rock is taking a stand against the ridiculously high cost of attending a big concert, by charging fans just $20 to attend the shows on his summer tour. "I'm lucky enough that I can afford to take a pay cut," he explained when making the announcement. Of course, it probably helps that he's also getting a cut of beer sales ... but at least those beers will only cost $4, the Wall Street Journal reports. The Journal calls such a low ticket cap "virtually unheard-of for a major act," and it seems to have paid off with spiking ticket sales for Kid Rock. I despise Kid Rock, but good on him!! Not worth the cost of free.